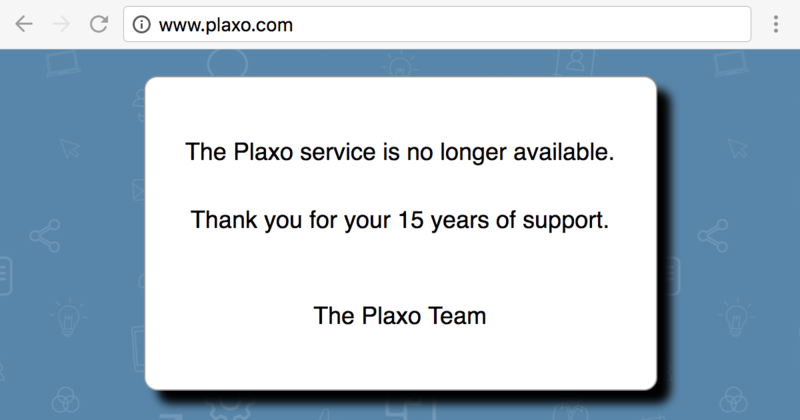 On January 1, 2018, Plaxo was shut down for good. We’ve loyally supported our Plaxo integration for the past 9 years. Now it is time to box it up. We also support an easy migration path from the Plaxo Widget to our own CloudSponge Address Book Widget. Anyone who is using the Plaxo Widget should consider us as an easy, drop-in replacement. The Plaxo Widget was a tool that inspired our own early product development. We saw that many of our early customers were building similar user interfaces and we realized that we could include this utility in our product. The Plaxo Widget was one of the few existing interfaces at the time so we studied it well. When Plaxo retired their widget in 2011, they pointed their users to us. We owe a significant amount of our early growth to their decision and endorsement of our product. Thank you and farewell, Plaxo!